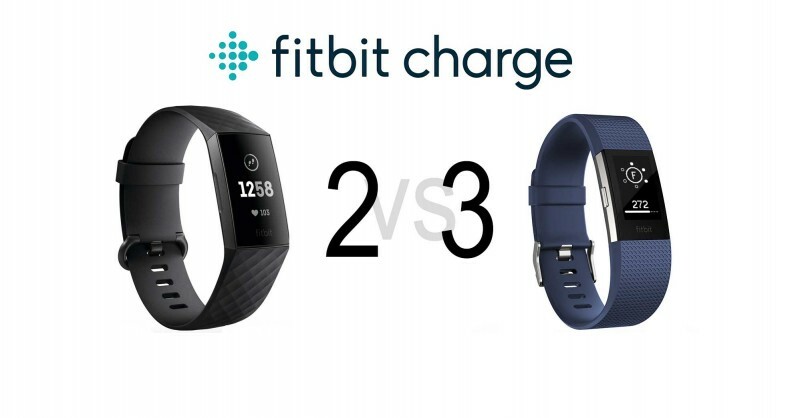 Home / Review / Fitbit Charge 2 vs Charge 3 Fitness Activity Tracker, what’s the difference? The Fitbit Charge 2 is one of Fitbit’s most popular trackers. It is a noticeable model compared to models from other manufacturers within the market. This makes the new model, the Fitbit Charge 3*, an exciting thing. In this article I compare both models and look at the differences between the trackers. What is new on the Fitbit Charge 3? Is it worth upgrading from the Charge 2 to Charge 3? New purchase – Charge 2 or Charge 3? A small note – there are a few less photos than normally available. This will of course be supplemented and updated. As often seen in my Fitbit comparisons, we will go into detail about the crucial differences between the Charge 3 and Charge 2 by Fitbit. Both devices have a pulse sensor which measures your pulse continuously. That is what characterises the Fitbit Charge series and it is of extreme importance for the quality and usability of fitness trackers. Fitbit uses in-house PurePulse technology. More about this can be found on the manufacturer’s website. In this regard, Fitbit has clearly proven itself and I have often praised the manufacturer for this. For this reason, I will not go into further detail about the measurement of heart rate and instead take a closer look at the differences between the two models. In terms of design, Fitbit has stayed true to the Change series, which I find very good. The slim and compact design with a display made the Charge. 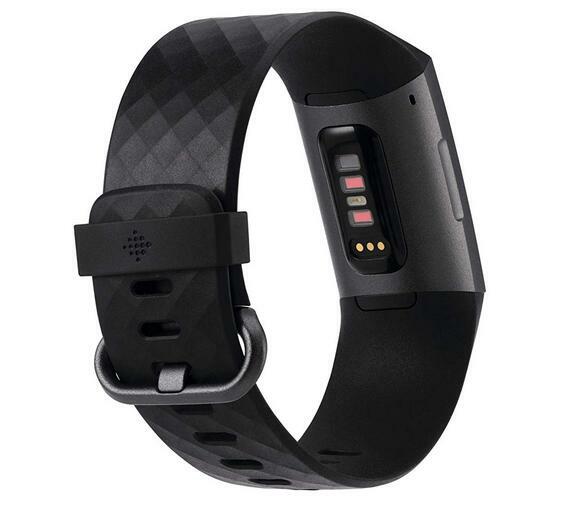 This makes the Fitbit Charge* similar to the Fitbit Alta*, which is completely opened without a display. Overall, the Charge 3 is even more compact than the Charge 2. This is how Fitbit managed to fit the device closer to the arm, as the pulse sensor is sunk further into the tracker. I can only give the exact figures for the dimensions of the Charge 3 when I have it in front of me. On the manufacturer’s website, there is an image which indeed does give figures, but these do not seem to be quite right. It would be better to wait and measure the device itself. I also would not mind receiving figures from you if you receive it earlier than I do. Simply put them in the comments or write me an email. The display remains the same as the Charge 2 without colour. However, the Charge 3 has a touch function, which considerably extends its use. As such, there are also various functions which can be controlled via the display. Of course, it is not as extensive and complex as with the Versa* or Fitbit Ionic. Apps also cannot be installed onto the Charge 3. Fans of the Fitbit Charge range have been waiting for a long time for this, and now it is here. Fitbit has made the Charge 3 waterproof. With the tracker you can go up to 50 metres underwater. This is a feature which I personally am very pleased about and in my opinion is a highlight of the Charge 3 as well as a difference from the Charge 2. Finally, we no longer have to take off our trackers when going swimming. Better still, swim sessions can be recorded and with pulse rates. Both the Charge 2 and the Charge 3 do not have an integrated GPS. For me, this is not surprising because the more expensive model released by Fitbit this year also does not have a GPS module. Here I mean the Fitbit Versa. It would be odd to only equip the cheaper model of the range with the function that is in great demand. So far, there has only been one model from Fitbit with an integrated GPS. That was the old and by far outdated Fitbit Surge. It is not clear why Fitbit is no longer installing GPS. Presumably it has something to do with the extremely high battery consumption. Nevertheless, it is not impossible to record distances with GPS. But to do this, you will need your smartphone. When connected, the Charge 3, as well as the Charge 2, can use the GPS module on your mobile phone and record the route. This is called Connected GPS. In practice, it works really well, although you have to disable energy saving mode on your phone. Otherwise, it cuts off. In terms of battery life, the Charge 3 has received an upgrade. The device is advertised to have a run time of up to 7 days. The Charge 2, on the other hand, only has a battery life of 5 days. Based on experience I can say that the runtime is of course not always correct and depends strongly on the intensity of use. In saying that, the difference between the two is significant. You’ll get by without charging for longer with the Charge 3. Training mode is particularly more demanding on the battery of the devices. This is because both devices have increased the frequency at which pulse is measured; from every 5 seconds to every second. It takes almost the exact same amount of time to fully charge the Charge 3 and 2. 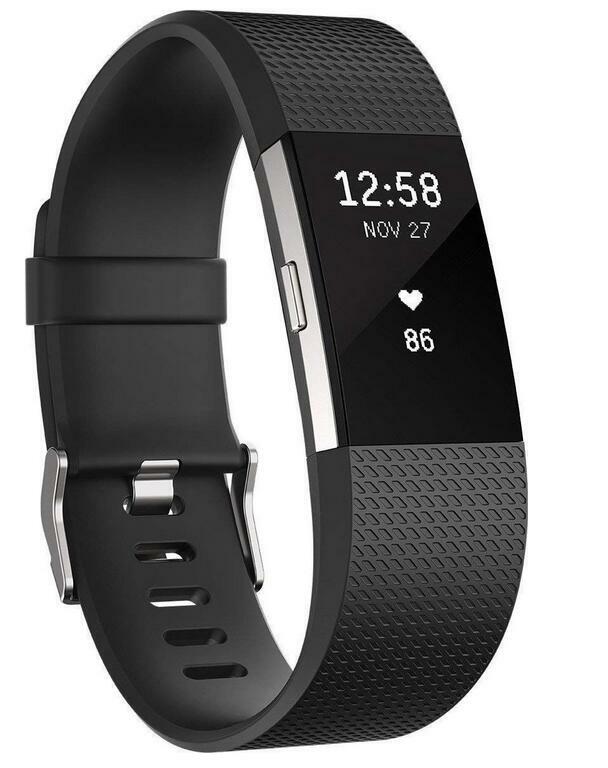 The Charge 2 is advertised to take 1-2 hours and according to Fitbit, the Charge 3 takes 2 hours to fully charge. Keeping to hardware, we will have a look at the built-in sensors and components. At base level, both devices are identical. However, the Charge 3 offers more components and sensors. The relative SpO2 sensor is noteworthy. 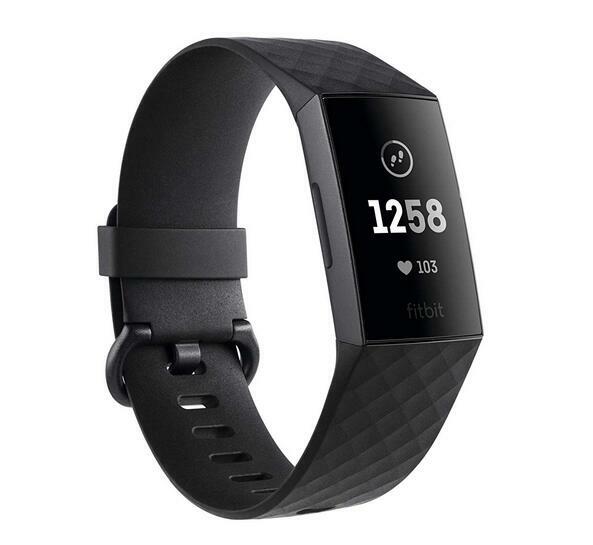 This has already been built into other Fitbit devices, although until now, only for the models in the higher price range. The sensor can measure oxygen content and offers more accurate records and analysis. Fitbit has given the Special Edition an NFC chip. Fitbit has also built this into the Versa. With an NFC Chip you can pay using contactless with the Fitbit device. Contactless payment has been an intensely growing market in Germany since this year, which I am pleased about. More about NFC (Near Field Communication) can be found on Wikipedia. The NFC chip may be built into every model in Germany. According to the manufacturer’s website, however, this is only the case for the special edition of the Charge 3. In the USA it is the same. Although, Fitbit has done it differently in Germany by equipping the normal Versa model an NFC chip. The Charge 3 has a few more functions than the Charge 2. For this, Fitbit once again interacts with its mobile app. This means that some functions are only enabled for certain Fitbit trackers. For example, Connected GPS is not available on the Fitbit Alta HR. Technically it would not be a problem. Although it seems that the manufacturer wants to create some differences. On the device itself, the Charge 3 has a few small advantages compared to the Charge 2. This is also the case with the built-in touchscreen, which enables you to, for example, pick up phone calls and answer messages with premade texts on Android. For me, these functions are of less interest. I think that if you really want the smart functions then you should take a look at the slightly more expensive model Versa. The price is an exciting topic. The Charge 3 is available for around 150 euros. This was also the price for the Charge 2 when it first came to the market. The price for the Fitbit Charge 2 has already fallen in recent weeks and months. It will presumably continue to fall. That is logical and how it normally goes. I find the price reasonable and am pleased that Fitbit has stayed true to the price structure. At first, I already had thoughts about the Ionic when it was brought into the market at a really high price. As such, the Charge 3 counts towards the cheaper models of the Fitbit family. Here is a quick summary of the upgrades given to the Charge 3* compared to the Charge 2*. I would like to do this in short bullet points, which may also be of use for the next sections. I have discussed the points in the article in depth. 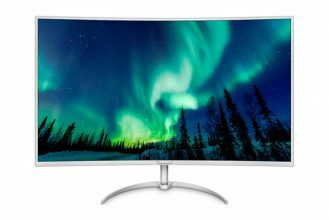 Is it worth upgrading from the Charge 2 to the Charge 3? Now we come to a very exciting and presumably often asked question. Is it worth upgrading from the Charge 2 to the Charge 3? Well, that is naturally up to you. If you do not need any of the new functions on the Charge 3 which the Charge 2 does not offer, then there would not be much point in upgrading. It is nonetheless worth considering that many of the new functions only on the Charge 3 will no longer appear on the Charge 2. Fitbit naturally wants to encourage you to buy the new device. In this way, the manufacturer also tries to lure you in with software upgrades. Fitbit has also done that with its previous models, which meant no more firmware updates for older Fitbit models. It is the same with mobile phones, only Fitbit can do this a bit more freely. Generally, I recommend upgrading from the Charge 2 to the Charge 3, as you will read in the next section. Should you upgrade to the Charge 3? Personally, I am a big friend and fan of the Charge series and was a long-time owner of the Charge HR, as well as the Charge 2. So, it may be interesting for you to know what I’ll do. For me, the small and simple design of the tracker is important. The Charge 3 does this great, if it is not even better suited to my tastes. I personally am pleased with the new features of the Charge 3. The functions for swimming have particularly convinced me. So, I have ordered* the Charge 3 and will be upgrading. You do not yet have a fitness tracker and would like to enter the family of Fitbit fans? You’re wondering whether the Charge 2 or Charge 3 is the right one? In this situation, I do not want to make a complete decision for you as to which is the right one. Ultimately, it is about whether the Charge 3 or even the Charge 2 is the right choice for you. In my opinion, it somewhat depends on the price development. I myself would buy the Charge 3. It has more functions, which I have listed here, as well as the up-to-date tracker. As mentioned before, you will have the current software updates from Fitbit. The Fitbit Charge 2 currently costs 100-130 dollars. At this price, it is a saving, but in the grand scheme of things the difference is not extremely large. I personally would definitely buy the Charge 3*, which is available for around 149 dollars. Finally, I have another small tip for you. It’s about the armbands by Fitbit. Fortunately, it is possible to change the bands of the tracker, which lets you adjust the look of the fitness tracker quickly and easily. The bands by Fitbit are however quite expensive. There is a way out of this, though – a wide range of copy-cat armbands. For the Charge 2, you’ll find something here*. For my Charge 2, I also used a copy-cat armband by MoKo, which I am very pleased with. There are currently no armbands for the Charge 3, but you will soon find a wide selection to choose from. Feel free to leave me further questions, additions, suggestions and requests in the comments. I am happy to receive any and every piece of feedback. Next Fitbit Versa vs. Charge 2: What’s the difference?